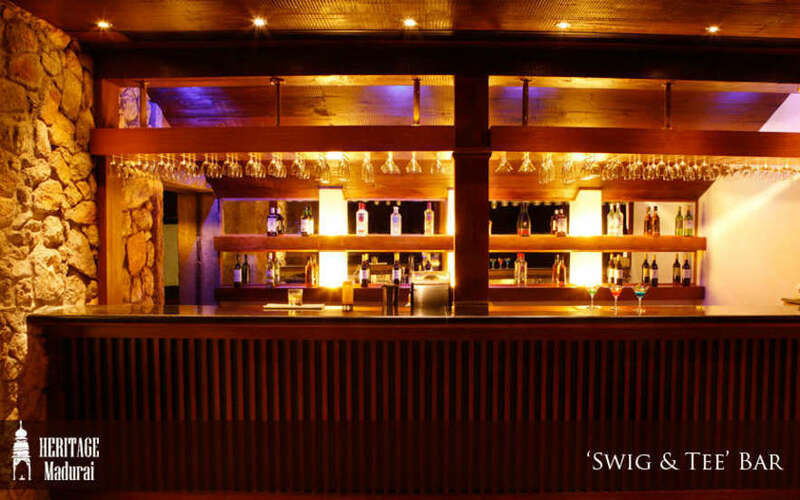 The Heritage Madurai is a historical hotel which started off as the Madurai Club, that was later converted to a Heritage hotel. 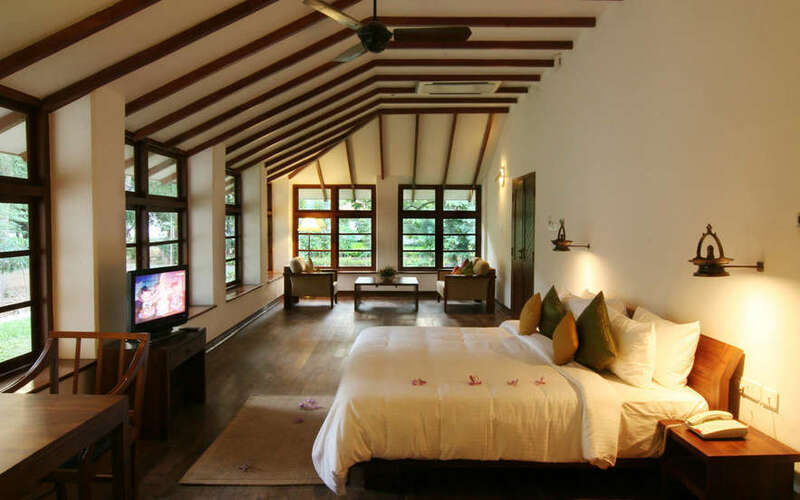 While the emphasis lay on building an environment-friendly ‘green’ Resort, the property’s historical value was carefully preserved. 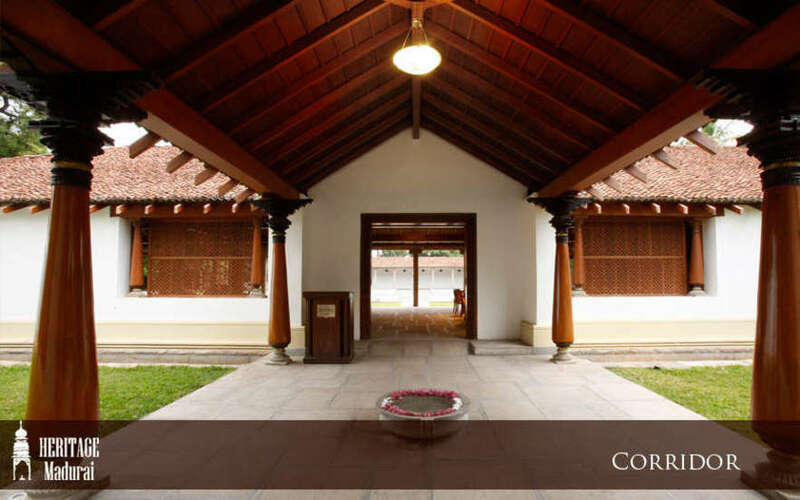 Designed in the unique architectural style of the Sri Lankan architect Geoffery Bawa, the Heritage Madurai rings with historic charm that echoes in every hallway and every room. 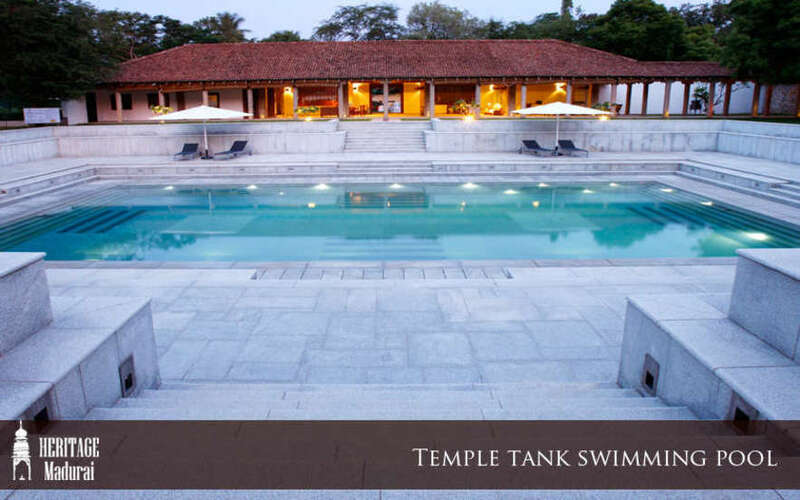 Lounge by the Olympic-sized temple tank pool, or luxuriate in a plunge pool in your own private villa. 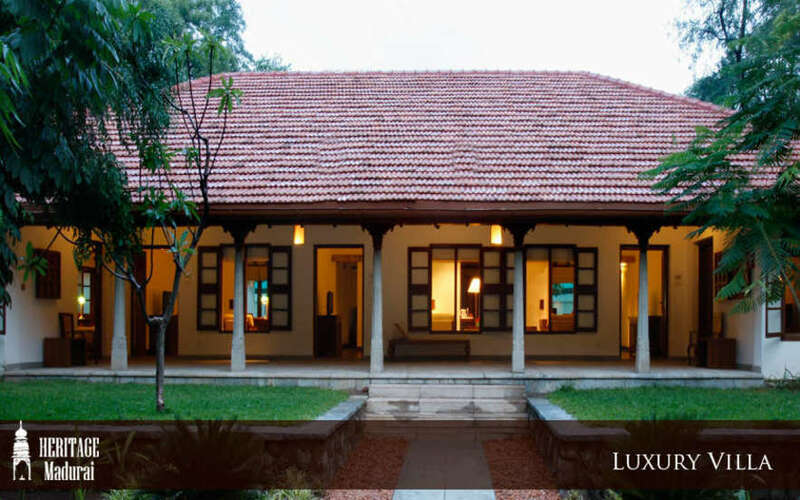 Dine under a 200 year old banyan tree, serenaded by bird calls while enjoying the perfect meal prepared by your own personal chef, perfectly tempered to your particular taste buds. 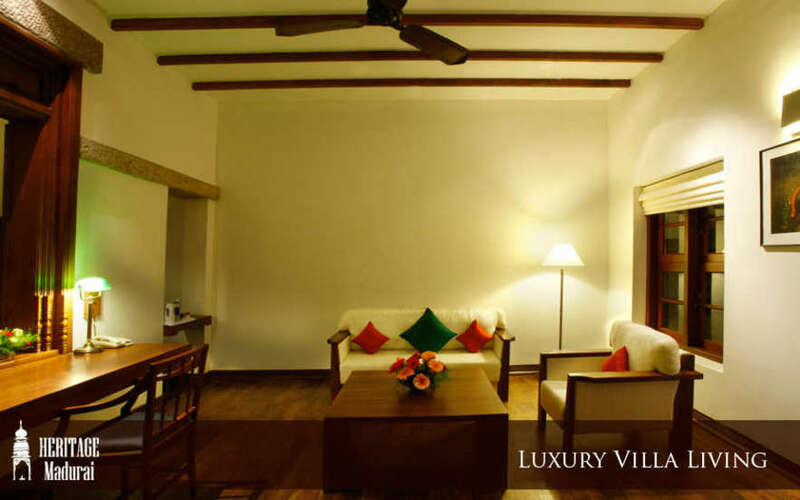 Take a leisurely ‘historic’ walk through the corridors where every stone has a story to tell. 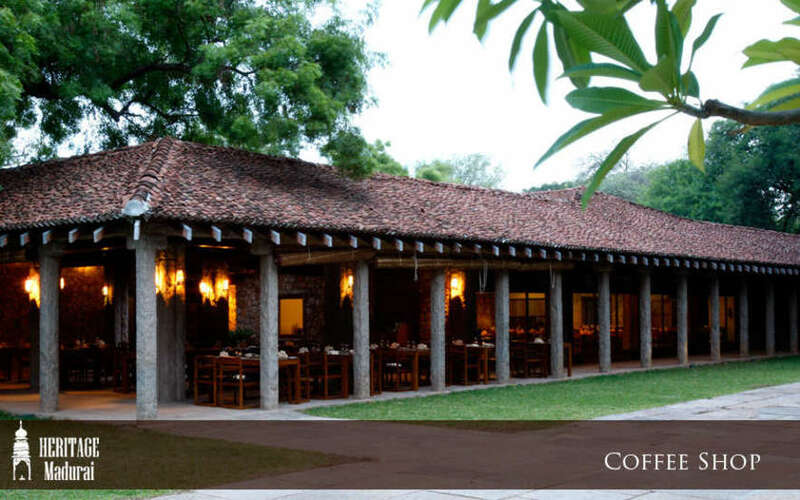 Dine under a 200 year old banyan tree, serenaded by bird calls. 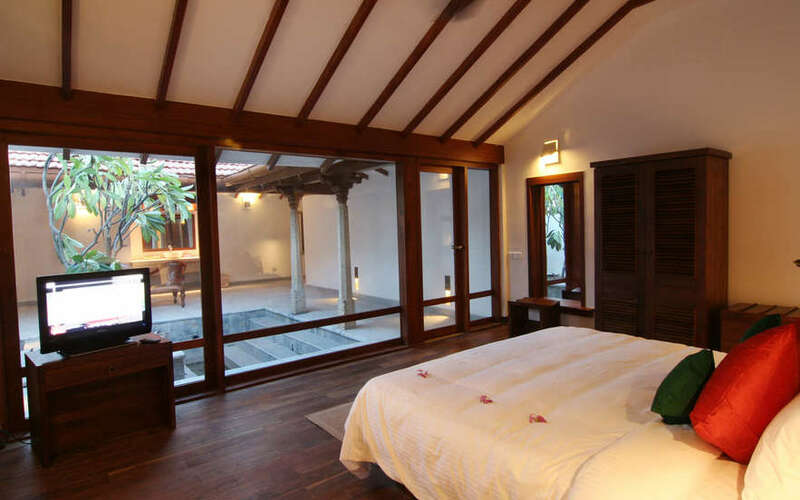 Heritage Madurai comprises 72 rooms including 35 villas. 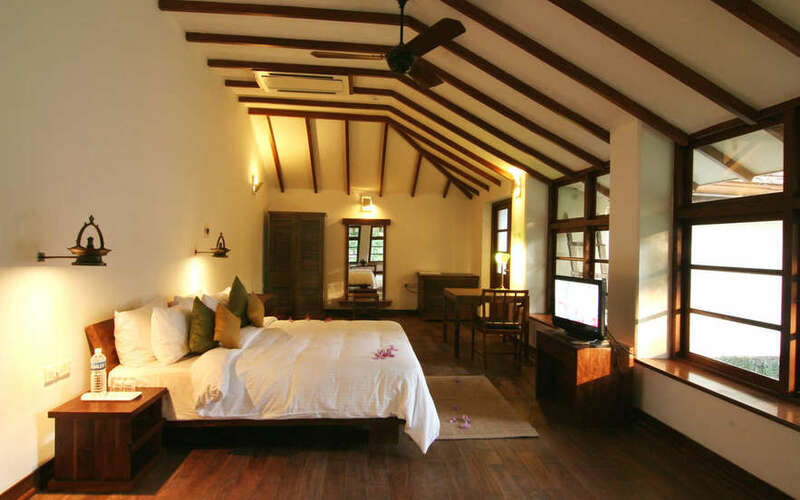 The old colonial bungalows have been refurbished maintaining that traditional South Indian flavour. 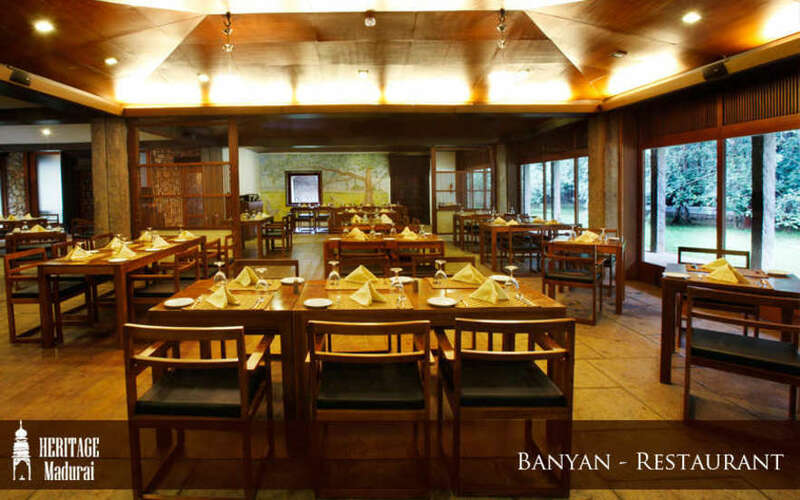 : Banyan Tree the multi cuisine restaurant, 24 hour coffer shop and Swing & Tee bar.